Are you ready to help bears in collecting boxes? They need to touch them, but not random objects on the conveyor. 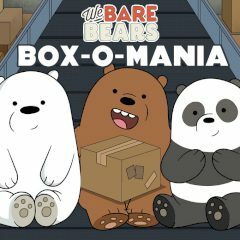 Help Bare Bears to get points with the help of boxes. They need to collect boxes to summon help in the face of another bear. He will play a small game where you will have to get points. Can you do that?